First, I just want to remind you that this is your LAST CHANCE to get those soon-to-be retired products. There’s only THREE days left for the 2016-17 Annual Catalog. Seriously, shop now! Lots of items are on sale. Lots of items are already sold out. If you click on the Order Online button on the upper right-hand corner, it will take you to my online store so you can place your order immediately. I love checking out local craft stores to get ideas for projects that I can make. I don’t know if you’ve noticed that canvases seem to be a popular medium lately. Canvases come in all different sizes from itty bitty to massively huge. I love those huge canvases, but I have a tough time envisioning how I would use them. But those mini canvases? Those are awesome! They are small enough that I can make a bunch of different ones and then change them out when I want something new. Last Fall, I bought a bunch of the mini canvases when I came across a really good sale at a local store. I stocked up on the 3×3″ and 4×4″ size. I used the 3×3″ for my Succulent Canvas Class To Go. You can see the details of that kit here. Contact me if you want to purchase one, I have just a few of those Class To Go kits remaining. Today’s project is a 4×4″ canvas using a mix of old and new products. 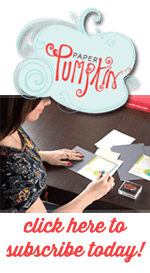 To make this project, you’ll need the canvas and a small amount of white acrylic paint in addition to the Stampin Up products. I added a few drops from my Soft Sky reinker to a small amount of the white acrylic paint to turn it a very light blue. Using a foam paint brush, I painted the surface of the canvas with the light blue paint. I did a very thin layer of the paint so it wouldn’t take too long to dry. 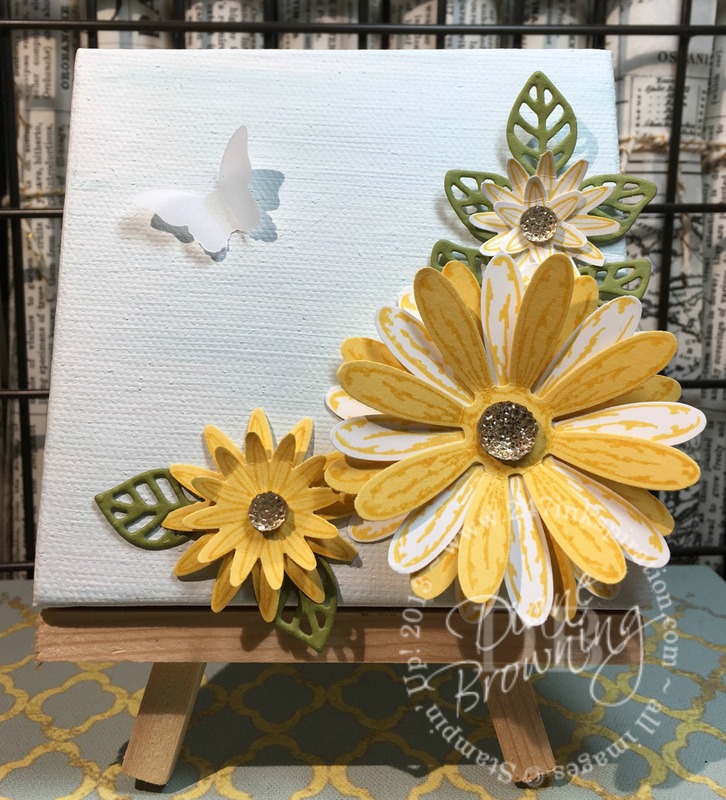 I stamped and punched the daisy’s and then layered together. Then I added the trio of flowers from the Grateful Bunch stamp set. Once the canvas was completely dry, I used my hot glue gun to adhere everything to the canvas. If you don’t have a lot of time to wait for the paint to dry, you can speed up drying time using your heat tool. Glue the flower layers together before adding them to the canvas. I even glued my leaves to the back of the flowers so I would have them in just the right spot. I used my hot glue gun to adhere the Bitty Butterfly to the canvas. I spread an even layer of hot glue across the entire body so you wouldn’t see a splotchy glue mess through the vellum. Don’t be afraid to try something completely new with your craft supplies. They are meant to do so much more than making just a card or two. I know a lot of us are guilty of “saving” something for just the right project. Don’t wait! Use it now and enjoy it. If you’re not happy with the result, you can always buy another canvas. I still have a few of my Cool Summer Banner Class To Go Kits. These banners are a very limited supply. Get your’s now before they are all gone. You can see the details of this Class To Go here.